Whether you’re a home cook, a paid chef, or just someone who likes to host barbecues, a quality meat and vegetable smoker is a great way to make food for you, your family, and your guests. We love the convenience and user-friendliness of electric smokers, but even within this smaller category there’s quite a range of prices, designs, and features. We sifted through all the makes and models, compared all the specs, and compiled the following best electric smoker article. Below you’ll find a comparison chart with the most crucial information, followed by in depth reviews of each electric smoker with more details to help you decide. Masterbuilt definitely lives up to their own name when they designed and created their Front Controller Electric Smoker. It features everything you would look for in an electric smoker, and at a reasonable price. While all of the units featured in this article are fantastic and share many of the same quality, the Masterbuilt Front Controller is truly a step above the rest, because it provides all the options for novices and more advanced smokers alike. The first thing we noticed about the smoker is its durably material—powder coated steel, and the fact that it only needed minor assembly out of the box. All that is required is to attach the unit’s handle, feet, and other minor parts. The smoker comes with rear wheels as well as a handle, allowing you to move the unit around as necessary. They are not top quality wheels, just small plastic coasters, but they get the job done for moving from one side of your yard to the other. Just one of the small conveniences that Masterbuilt thought of when they created their Front Controller. The next thing that pops out about this electric smoker is its impressive size. This 30” model that we’ve listed offers 730 sq inches of cooking space, which is capable of smoking up to 80 pounds of food simultaneously! In case you, like us, have never actually made that much food in a single session, that is enough room to cook 6 whole chickens, 8 racks of ribs, 4 pork butts, 24 burgers, 2 whole turkeys, or 64 sausages. Needless to say, you will be able to happily feed any dinner party an abundance of deliciously smoked meat. And if that’s still a bit too tight for you, Masterbuilt also sells a 40” option of the same smoker. Next we noticed that the smoker’s door has an adjustable latch on it. As you use the smoker over time, and as the seal begins to get worn down, you can simply adjust the latch to be tighter. This ensures sealing in all of that smoky goodness, so that it gets into your meat and not your yard. Masterbuilt considered normal wear and tear of their machine, and provided a solution that didn’t require getting a new unit or replacement parts right away. The front of the smoker is made of glass, allowing you to see in. This is a plus, but perhaps a bit unnecessary since the smoke and moisture from the cooking meat fog up the glass pretty quickly. Masterbuilt also installed an internal light that allows you to check on your meat without opening the door. Inside the unit, you’ll find 4 chrome-coated racks. (The fact that there are four that can all fit in the smoker simultaneously speaks to how big the smoker is!) Just like your kitchen oven, the racks are adjustable. This allows you to make room for bigger items—like whole chickens or turkeys, or more racks for a lot of smaller items—like 64 sausages for that backyard barbeque. It also allows you to remove any racks that aren’t needed, preventing extra cleanup later. For those racks that do get used and dripped on, cleanup is easy with just soapy water. Masterbuilt has also made cleanup easier by providing a front-access drip pan. This pan, like the racks, is easily washed with soapy water. And because of the front access, there’s less likelihood of spilling those drippings before you get to the trash. The mechanics of the Masterbuilt Front Controller are equally impressive. The heating element boasts 800 watts of power. Although not the most powerful on our top ten, the element has full foam insulation which preserves the power and makes it more efficient. It also comes equipped with a side and top air damper. The purpose of the air damper is to control your moisture loss as well as promote heat and smoke circulation. This means a more evenly delicious smoke to your meats. It also gives you versatility in your end product. If you leave it fully open, you can properly dry foods for jerky. Keeping it nearly closed is better for large pieces of meat like bacon, whole chickens, or roasts. Although the unit has a powerful heating element and an impressive air damper, we did find it difficult to smoke at lower temperatures (210-225 degrees fahrenheit), but this seems to be a similar issue with most electric smokers. Perhaps most importantly for a good smoker is its wood chip tray. The Masterbuilt Front Controller has a redesigned, easy load tray which makes the process a bit easier since the chips need to be tended to somewhat often. The only downside of the tray is that it does not hold a very large quantity, and most dry wood chips will burn up in about thirty to forty-five minutes. Soaking them in water helps them to last longer, but you will still need to tend the chips occasionally. While a larger chip tray may be the ideal, having the smooth operating of this patented side-loading wood chip tray definitely makes the process easier. All of these features are great, but we love the most is its built-in, top quality Cuisinart CSG-900 Wireless Dual Probe Grilling Thermometer. This means that you never need to open the door to check the meat’s temperature. And you don’t need to purchase a separate thermometer to get the same effect. Everything is built in and comes included in the price of the smoker. The blue led display on the front of the actual unit makes reading meat temperatures and/or cooking time in direct sunlight easy. But what is most impressive is that the built-in thermometer also functions with an RF (radio frequency) remote control that can turn the smoker on and off, adjust unit temperature and cook time, access the internal light, and monitor the meat temperature for up to 300 feet away. The very smart receiver displays temperature up to 572 degrees fahrenheit, stores meat, grill, and timer settings, and has a built in stand/clip for its transmitter. Although you can purchase the smoker without the built-in thermometer, but we definitely don’t recommend it! The unit has received the CSA (Canadian Standards Association) certification, a company that provides product testing and certification services for electrical, mechanical, plumbing, gas and a variety of other products. It is recognized in the U.S., Canada and around the world, It also comes with a 90-day warranty for its parts. After those 90 days, we were pleased to see that Masterbuilt does sell a variety of replacement parts, which allow you to maintain your unit after years of use instead of having to replace the whole thing. As this is quite the electric smoker, be sure not to let it get stolen like this pair of smokers! Whether you’re new to smoking or have been doing it for some time, the Masterbuilt Front Controller Electric Smoker offers all of the conveniences and technology needed to make excellent smoked meat with minimal effort and at a reasonable price point. For those whose budget is their primary concern, but are still looking for many of the conveniences of a fully loaded electric smoker, the Char-Broil Vertical Electric Smoker is a great option. At one-half to one-third of most of the best electric smokers in our review, there is very low risk with the Char-Broil Vertical. For this reason, we love it for those who are just trying their hand at smoking or who do not plan on using it as their primary tool for meat cookery. Made of porcelain coated wood, the enamel finish makes it such that the smoker won’t fade or discolor like other matte finish, high-temperature paint can. And so the exterior of your smoker will stay looking new even after much use. At 20 inches wide x 37.8 high x 17.5 deep, the Char-Broil Vertical has a similar footprint to many of our other top rated electric smokers. But impressively, it offers over 504 square inches of cooking surface on 3 adjustable and removeable chrome-plated cooking grates. While not as big as some of our other units, this is still ample space for plenty of meat and vegetables. And with three adjustable, oven-style, chrome-plated grates, there’s lots of room for different sized items. At a lower price point, the Char-Broil Vertical is also impressively and durably built, meaning you can still cook like Fred D. Draper. It has insulated, double-walled construction meant to maintain an even temperature. And with its powerful 1500 Watt heating element, getting heat into the unit is no sweat. However, we did find that maintaining lower cooking temperatures of 225 to 240 degrees fahrenheit, which seems to be a similar problem for many smokers. Similarly, not much smoke is produced at this lower temperature. This smoker, however, does keep a steady 250 degrees fahrenheit easily and produces ample smoke at that temperature and above. You can easily see when the unit is pre-heated as well as monitor the smoker’s temperature with the lid-mounted gauge. The smoker is also outfitted with a chrome-plated handle, a wood chip (perfect for use with WESTERN 78075 Hickory BBQ Smoking Chips), and a water pan. The grill temperature and smokiness can be adjusted with the damper; leaving it open burns hotter while partially closing it lowers temperatures. A grease tray is also included to capture drips and make cleanup simple. However, we found that because the bottom of the unit isn’t sloped, not much of the grease ends up in the cup. Instead, it tends to sit at the bottom of the unit under the heating element, which can make for tricky cleaning. If you find this to be a real issue, Char-Broil does offer a one-year warranty on all smoker parts. We love this smoker for those who are new to smoking and/or only plan on using it occasionally. At a lower price point (and therefore risk), you can try your hand at smoking with a decently sized unit with many of the technologies and conveniences of higher priced models. Many envision the process of meat smoking to go something like this: put meat in, turn on, leave for hours and hours and hours, come out and find awesomely smoked meat. Unfortunately the process is a bit more complicated and hands-on than that, but the Bradley Smokers Original smoker (as well as the other Bradley models reviewed in our article) comes as close to “hands-free” as we have found. The two main reasons that the Bradley Smokers Original really takes much of the effort out is its consistent, low temperature and its automatic wood feeder system. Unlike many of even the best electric smokers, the Bradley Smokers Original is equipped with separate burners for generating smoke and for oven heat. This allows you three different options: heat with smoke, heat without smoke, and smoke without heat. It also means that the smoker temperature can remain more consistent, as you don’t need to increase the oven heat in order to increase the smoke amount. With a maximum heat of 250 degrees fahrenheit, the Bradley Smokers Original is truly a low-and-slow method that results in perfectly juicy and tender meat. And because it can operate without any smoke at all, the unit also functions as a slow cooker or a slow roasting oven. With that kind of versatility, it is definitely worth the investment. Because it is fully insulated, the unit works well in any temperature, making it a definite go-to at any time of year. At a maximum of 250 degrees, it is definitely going to take a longer time to reach doneness for most slabs of meat. If multiple hours of smoking and woodchip tending seems like too much of an investment, let us remind you that the Bradley smokers all come with an automatic wood feeder system. While you do need to purchase bisquettes specifically made for Bradley (Bradley Technologies Smoker Bisquettes 48 Pack), this seems like a small price to pay for completely hands-off smoke tending. The automatic wood bisquette feeder system feeds a bisquette onto the burner every twenty minutes, and enables clean, continuous, and perfectly portioned smoke for up to eight hours without ever refueling. This technology is definitely different and innovative in the meat smoker industry. And while some “purists” or “traditionalists” may not like giving up the control, we find it to be an ingenious advancement towards deliciously smoked meats. Because the oven heat is controlled separately, the cabinet is fully insulated, and you never need to open the smoker to add more wood chips, Bradley has effectively removed the drastic temperature fluctuations and interruptions in smoke production that adversely affect the taste of smoked foods. The only thing that would make this smoker even better would be an internal meat thermometer that allows you to check the meat’s temperature without opening the door. As for the physical unit itself, we can’t complain. It’s made of strong steel with a fully insulated stainless steel interior. It also comes with four removable racks that are fully supported to avoid tipping. The whole smoker is easy to wipe up and clean, thanks to its steel surface. Its dimensions are 20 inches wide x 24 high x 18 deep and it offers 520 square inches of cooking space, which may be a bit small for some. The temperature controls are easy to use, but we do wish there was an additional remote control option to make this unit truly hands-free. And the lower price point on this unit has to do with the fact that it is not completely digitally controlled; you aren’t able to set it to a sepcific temperature or time. We love the option to purchase a Bradley All Weather Cover, since your smoker will likely be outdoors in the elements. Bradley stands behind their product and offers a one-year warranty from the date of purchase. At a reasonable price point, the Bradley Smokers Original offers a fantastic hands-off smoker that takes out much of the guess work and effort. Granting you the option to set it and forget it, we love this for new smokers and experienced ones alike. Reminiscent of our editor’s choice, the Masterbuilt Front Controller Electric Smoker, the Char-Broil Deluxe Digital Electric Smoker is a feature powerhouse. It solves the age-old issue with charcoal smokers being both time and attention intensive, and provides a way to get great smoked flavor without all of the preparation, know-how, and work. We love that the Char-Broil Deluxe really allows even novice smokers to produce delicious results with minimal guesswork or effort. Before getting into the nitty-gritty of how this smoker works, the first thing you notice is how nice it looks. Made of stainless steel, with a dual-tone finish and a glass front window, it really would be a great addition to any backyard. Far from an eyesore, it will fit right in with your built-in barbeque or even your wine cooler. But despite its good looks, Char-Broil was actually more concerned with function over fashion. It comes with a large, stainless steel locking latch to allow for a smoke-tight seal. And it has insulated, double-wall construction to help keep temperatures consistent and smoke concealed, making this smoker up to 10 times more efficient with wood chips compared to the leading electric smoker. To make your life extra easy, the wheels and integrated handle make mobility around your yard easy peasy. And the advanced control panel has an easy-to-read, blue LED display. More on how this functions later. Although its dimensions aren’t significantly bigger than other models (18.1 inches wide x 32.5 high x 16.5 deep), you get a whopping 725 square inches of cooking space. And, even more impressively, you can upgrade to a larger unit with 1,000 square inches of cooking space at a similar price point. The unit comes with four adjustable and removable smoking racks, allowing you the flexibility to smoke a few very large items (whole turkeys and pork butts) or a lot of little items (sausages and hot dogs). And not only can you cook a large quantity of food simultaneously, but the large capacity, 4-cup wood chip box provides you with 4 to 7 hours of smoke before needing to refill. We love that the Char-Broil Deluxe is compatible with every type of smoking chips, including the WESTERN 80485 Prime Wood BBQ Smoking Chips Variety Pack. Although this unit has 800 Watts of power, which is actually lower than some of our other models, the large smoker seems to pull a lot of energy and can sometimes trip the electrical. So make sure you are using it in a space that isn’t already overloaded with other electronics. Now back to that digital technology feature. Not only can you set your smoke and oven temperature, but the Char-Broil Deluxe allows you to select from two different cooking modes for your convenience: either by time or by internal temperature. Because the smoker is equipped with an internal temperature probe, you don’t need to guess how long it will take to get your meat perfectly cooked. Simply place the probe into your piece of meat, set the thermometer to the ideal temperature and wait for it to alert you of its doneness. You can easily monitor the cooking heat, check the pre-heat status, and make simple adjustment with the advanced control panel. But even more conveniently, the unit comes with a remote control to allow you to monitor and cook from a distance. The remote shows you the desired cook time, and allows you to set target meat temperature, set cooking temperature, view real time meat probe temperature, and view cook time remaining. We especially love that once the meat has reached its predetermined internal temperature, the unit will automatically shift into its warming feature, so that your food won’t be overcooked but will be perfectly warm to serve. Other conveniences include the easy to refill porcelain-coated, slide-in water pan as well as the 8.5-cup, high-capacity grease tray. Both of these make removal, refilling/emptying, and cleaning the smoker much easier. The unit has a wide range of temperature options between 100 degrees fahrenheit and 275 degrees fahrenheit, although we did find that it tends to run a bit warmer than what the display indicates. You have the option to purchase separately the Char-Broil Digital Electric Smoker Cover to protect your smoker from the elements. And Char-Broil provides a one-year warranty on all grill parts. At a reasonable price point, the Char-Broil Deluxe Digital Electric Smoker provides just about all the conveniences you could look for in an electric smoker. With the internal thermometer probe and excellent construction, this unit is great for novice and experienced smokers alike. Not surprisingly, the Masterbuilt Portable Electric Smoker is the second Masterbuilt unit in our top ten electric smokers article. 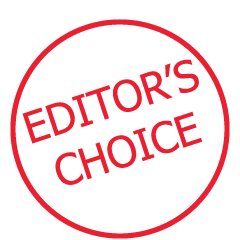 Reviewed above, the Masterbuilt Front Controller received our editor’s choice award. Offering different conveniences, the Masterbuilt Portable is equally great for similar and different reasons. The baseline of both of these electric smokers, however, is the trusted brand of Masterbuilt. Since its founding in 1973, product innovation has been a consistent a cornerstone at Masterbuilt. They aim to provide leading edge quality and technological innovation to their customers; we have definitely found that in both of their units on our top ten list. With top notch products and amazing customer service, it is simply no wonder that Masterbuilt has some of the most popular electric smokers on the market. With dimension of 23.4 inches wide x 23.6 high x 15.9 depth and only about half the weight of other units (26.35 pounds), the Masterbuilt Portable is perfect for smoking at home—especially if you have a small yard with limited space—or on the go. The portable, compact design is ideal for camping, tailgating, and road trips. The smoker legs easily fold under the unit, making transport and storage a snap. You can also purchase the Masterbuilt 20080116 Portable Smoker Carrying Bag, to make moving it from place to place even easier. Although the unit is definitely smaller than others on our list, and therefore may not provide the cooking space that some are really looking for, it does not skimp by way of technology. It boasts a powerful 1,400 watt heating element and comes with with two chrome coated smoking racks. Less advanced than some of our other units, the smoker’s simple analog controls offer high, medium and low settings as well as off. For those who are looking for more precise and sophisticated smoking, this probably isn’t the unit for them. But for those who don’t have space for a bigger unit and/or want to be able to smoke meat away from home, this is an incredible option. The unit aims to make smoking possible in non-home environments. It achieves that by having an easy-to-read temperature gauge on the door as well as a removeable wood chip tray for easy ash removal and water pan. Just like the heating settings, the temperature display is less sophisticated with just a color coding instead of the precise temperature, which isn’t ideal. And we especially love that even this portable smoker has an adjustable air damper for smoke control and heat circulation. Made of steel, you never have to worry about the durability of this smoker. And for those who are just starting their journey into meat smoking and/or only plan on using it occasionally, this is a great option because it’s easy to use, clean, and then store away. And although it is smaller than most, it still offers 279 square inches of cooking space, which is large enough for a moderately sized turkey. The temperature consistency is not the same as larger, more expensive models. But for a decent price, there is low risk with this portable smoker. And it allows for beginning smokers to get their feet wet. Great for the novice smoker or those who live in a small space or who plan to smoke on the go, the Masterbuilt Portable Electric Smoker is a low-risk, budget friendly unit. While not as sophisticated as larger, more expensive models, the end results are still incredibly tasty. In this electric smoker reviews article, you’ve read about a lot of models that are tricked out with tons of features. While this may be some people’s preference, others are more traditionalists when it comes to smoking. They want a solid box that will keep the heat and smoke in, and provide incredibly tasty meat. If you’re looking for a more simple—and much more budget friendly, we might add—option, look no further than the Smoke Hollow 30-inch electric smoker. Designed for simple operation and great cookery of meat and vegetables, Smoke Hollow’s electric smoker starts with a double wall construction that ensures both heat and smoke will stay in. This solid construction is fortified even more by the magnetic door-latching system, preventing any air escape through tiny passages in the doorway. Inside the smoking box are a high-powered 1,500-Watt heating element as well as a high temperature painted wood chip box with a lid and porcelain-coated water pan. We did notice that you need to open the door to feed the wood chip box (with WESTERN Hickory BBQ Smoking Chips or any other wood chips of your choosing) for longer smoking times; this will cause heat and smoke to escape while you have the door open. Although this isn’t ideal, we found that it didn’t affect the cooking time or taste dramatically. And, to our pleasant surprise, also found that the unit distributed and kept its heat quite efficiently. With dimensions of 22 inches wide x 37.5 high x 19 deep, the Smoke Hollow smoker has a very reasonably sized footprint. It is equipped with 2 side handles for convenient transport around your yard. We especially loved how easy it was to assemble straight out of the box. Although instructions were included, there was very little for even a novice smoker to mess up. The front door of the unit has a thermometer, making it easy to see what the internal temperature is. Without any digital control, this smoker has three heat settings: low, medium, and high. Although this isn’t ideal for those who are more perfectionistic about their cooking method, for others who take a simpler approach, this will function just fine. Some may even prefer this very easy-to-control system. The inside dimensions of the smoker measure to 16 x 14 x 30 inches, producing a large amount of cooking space. The 504 square inches is spread over 3 grids, two that are adjustable and/or removeable and one that is fixed. Below the smoker is a drip pan to catch any grease as you cook. We found the Smoke Hollow smoker to be easy to clean and very sturdy. We love the option to purchase the Smoke Hollow Smoker Cover, which is made of heavy duty and weather-resistant polyester. And we especially appreciated Smoke Hollow’s 90 day warranty, incase anything should happen after receiving your smoker. If your top priorities are solid construction and a lower price point, and you’re less concerned about the fancy features that drive prices up, the Smoke Hollow electric smoker is your best bet. While you’ll have to tend your smoking more than other models, this simple but sturdy smoker yields great results. If you’ve been reading this article in its entirety, you may have noticed that this isn’t the first Bradley to make the list. And for very good reason! Unlike some of the more traditional models, Bradley Smokers offer a new alternative in smoking technology. Whether you’re a sportsman coming home with the spoils of your more recent hunt, a home cook, or an experienced chefs, we think that you’ll appreciate the Bradley smokers’ precision and ability to produce awesomely smoked food. If you already liked Bradley Smokers Original, but wish that you had a bit more precision as far as settings were concerned, you’re going to absolutely love their Jim Beam model. Bradley teamed up with Jim Beam to create this smoker, which is 100% digitally controllable. This means that you are now able to set a precise oven temperature, cook time, and smoke amount digitally. With the touch of buttons you can decide how much smoke you want, how long your food is going to be smoked for, and at what temperature. The only thing that is missing is an internal meat thermometer and a remote control, allowing you a truly hands-off experience. And considering all of the other amazing features of this and all Bradley smokers (more on that below), there will be almost no guesswork for you as your prepare deliciously smoked (or not smoked, your choice!) food. As we’ve mentioned with all of the Bradley smokers, we absolutely love its ability to produce consistent, low temperature and its automatic wood feeder system. And because it can operate without any smoke at all, the unit also functions as a slow cooker or a slow roasting oven. With that kind of versatility, it is definitely worth the investment. Because it is fully insulated, the unit works well in any temperature, making it a definite go-to at any time of year. With dimensions of 15 inches wide x 25.5 inches high x 11.5 deep, this smoker provides 520 square inches of cook space over four racks, with a relatively compact footprint. That may not be quite enough cooking space for some; and so if you love the other Bradley features and just want it in a larger unit, check out our previously reviewed Bradley Digital 6-Rack Smoker. Where Bradley smokers are a step above the rest, however, lies with their amazing automatic wood feeder system. While you do need to purchase bisquettes specifically made for Bradley (Bradley Smoker 120 Pack Special Blend Bisquettes), this seems like a small price to pay for completely hands-off smoke tending. And don’t think you’re downgrading by having to get Bradley brand hardwood; it comes in an impressive nine flavors. And most importantly, the automatic wood bisquette feeder system feeds a bisquette onto the burner every twenty minutes, and enables clean, continuous, and perfectly portioned smoke for up to eight hours without ever refueling. As with all of the Bradley smokers on our top ten list, the Jim Beam is made of strong steel with a fully insulated stainless steel interior. The whole smoker, including the racks, is easy to wipe up and clean, thanks to its steel surface. And we love the option to purchase a Bradley All Weather Cover, since your smoker will likely be outdoors in the elements. Bradley stands behind their product and offers a one-year warranty from the date of purchase. Providing all of the automatic, hands-free options of the Bradley Smokers Original Smoker, at a similar price point the Jim Beam takes everything digital. You are able to set a precise oven temperature, smoke amount, and cooking time—and then forget it for up to 8 hours of uninterrupted smoking. You may have noticed that this isn’t the first Bradley to make the list, and for very good reason! Unlike some of the more traditional models, Bradley Smokers offer a new alternative in smoking technology. Whether you’re a sportsman coming home with the spoils of your more recent hunt, a home cook, or an experienced chefs, we think that you’ll appreciate the Bradley smokers’ precision and ability to produce awesomely smoked food. First a reminder on what makes this Bradley smoker—like all Bradley smokers—a technological step above the rest. We absolutely love its ability to produce consistent, low temperature and its automatic wood feeder system. Unlike many electric smokers, the Bradley Digital 6-rack is equipped with separate burners for generating smoke and for oven heat. This allows you three different options: heat with smoke, heat without smoke, and smoke without heat. It also means that the smoker temperature can remain more consistent, since you don’t ever need to increase the oven heat in order to increase the smoke amount. With a maximum heat of 280 degrees fahrenheit, the Bradley Digital 6-Rack is truly a low-and-slow method that results in perfectly juicy and tender meat. And because it can operate without any smoke at all, the unit also functions as a slow cooker or a slow roasting oven. With that kind of versatility, it is definitely worth the investment. Because it is fully insulated, the unit works well in any temperature, making it a definite go-to at any time of year. This particular Bradley smoker has an impressive six racks (it’s taller than most of the smokers on our list with dimensions of 15 inches wide x 33 high x 11.50 deep); which means that there is an incredible amount of space (780 square inches to be exact) for smoking or roasting quite a lot of meat and vegetables. While this unit has a higher price-point, it is an incredible investment since it works as an outdoor meat smoker or roaster that can hold more than your kitchen oven. Because all Bradley smokers are true low-and-slow units, it is definitely going to take a longer time to reach doneness for most meats. The good news is that the Bradley Digital 6-Rack is completely digital, meaning that you are now able to set a precise oven temperature, cook time, and smoke amount. With the touch of buttons you can decide how much smoke you want, how long your food is going to be smoked for, and at what temperature. The only thing that is missing is an internal meat thermometer and a remote control, allowing you a truly hands-off experience. However, where Bradley smokers are a step above the rest is with their amazing automatic wood feeder system. While you do need to purchase bisquettes specifically made for Bradley (Bradley Smoker 120 Pack Special Blend Bisquettes), this seems like a small price to pay for completely hands-off smoke tending. And don’t think you’re downgrading by having to get Bradley brand hardwood; it comes in an impressive nine flavors. And most importantly, the automatic wood bisquette feeder system feeds a bisquette onto the burner every twenty minutes, and enables clean, continuous, and perfectly portioned smoke for up to eight hours without ever refueling. As with all of the Bradley smokers on our top ten list, the Digital 6-Rack is made of strong steel with a fully insulated stainless steel interior. As noted before, it comes with an incredible six removable racks that are fully supported to avoid tipping and providing 780 square inches of cooking space. The whole smoker, including the racks, is easy to wipe up and clean, thanks to its steel surface. A bit stronger than its other Bradley smoker cousins, the Digital 6-Rack has an impressive 1,200 Watts of power. And we love the option to purchase a Bradley All Weather Cover, since your smoker will likely be outdoors in the elements. Bradley stands behind their product and offers a one-year warranty from the date of purchase. If you’re looking for a low-maintenance, high quality smoker with an abundance of cooking space, definitely consider investing in the Bradley Digital 6-Rack Smoker. It is a step above the rest as far as technology and ease of use, and with its 6-racks of cooking space, it definitely earns the value of its higher price point. The first thing you’ll notice about the Old Smokey is that it looks very different from the other models that we’ve reviewed in our top ten electric smoker article. Its name is quite appropriate, as the smoker looks quite a lot like just a very tall pot; something you might see in the Deep South where barbeque flavor reigns supreme over fancy design or intricate features. Upon further research of the smoker, you’ll find that it lives up to this description—simple and incredibly delicious. As noted above, the Old Smokey looks like a very tall pot, with dimensions of 15.5 inches wide x 29 high x 15.5 inches deep. It is made of corrosion-resistant aluminized steel and is equipped with a 1,250-watt heating element with adjustable heat control. This heating element is very similar to one you would find in an electric oven; and for that reason can reach higher temperatures than what you might find in other smokers. The higher temperature in combination with the tightly sealing top lid allows for a very quick cook time. Although many experts in smoking meat would argue that low-and-slow is the best for achieving tender and juicy meat, the Old Smokey has a flat-top design which provides constant, even basting. This means that the drippings and juices drip right back onto the meat, keeping all the flavor and moisture in. And, as an added bonus, you don’t have to wait 4 to 6 hours for it to be done. Another reason why smoking connoisseurs may prefer low-and-slow methods over quicker ones is that it allows the smoke flavor to more deeply penetrate the meat. The Old Smokey’s chip tray lies right on top of the heating element. And although it might not achieve quite the same smokiness of other units, it gets pretty darn close. And for those of us that may prefer just a hint of smoke but incredibly juicy meat and vegetables, this may actually be a good thing. Unlike other smokers that utilize a water pan to keep the smoke going, the closed system of the Old Smokey uses the meat’s own juices, which adds incredible taste. Inside the Old Smokey you’ll find a drip pan and lower grill. Above that, in the upper cooking level, is an additional grill. This top-loading system is more difficult to access throughout the cooking process than the front-door type smokers. And it seems that they could have easily included a third level of cooking for more cooking space. As it stands now, there 202.5 square inches of cooking space. We did love that each grill has handles to allow easy insertion and removal, as well as very easy cleanup. The heating element is controllable, allowing for varying temperatures. However, you have to purchase a separate Smoker Thermometer, which Old Smokey will install for you upon request. And we loved that the heating element could be turned down to a “keep warm” level once cooking has been completed. Very different from the more traditional box smokers, the Old Smokey is a quicker-cooking alternative. It’s affordable, simple to use, and utilizes the meat’s own juices to produce incredibly tasty and tender results. Another one of our very budget friendly smokers, we absolutely love the Southern Country Smokers 2-in-1 Electric Water Smoker for what it offers at a lower price point. We’ll get into the smoking part of this smoker later, but the first thing you’ve probably already noticed is that this unit has in its title “2-in-1”. That’s because it can actually be used as a grill instead of a smoker. When used as a grill, the reflector pan redirects heat to the cooking surface for thorough and even cooking for deliciously barbecued food. At just 23 pounds in total, the whole unit is easily transported (although it may be tricky to move the tall unit with dimensions of 21.5 inches wide x 37 high x 27 deep around too much. If you only want to take the grill with you, its interlocking hood and base allow the whole unit to be converted into a Lock’n’Go, lightweight and compact portable electric grill. Unlike the boxy shape of many of the units in our top ten electric smoker reviews article, the Southern Country Smokers 2-in-1 has a chimney-like design with a loose-fitting, vented lid and tight-fitting doors. This combination helps to create a constant flow of new smoke for maximum flavor. This unit was specifically designed for slow, low-temperature, hands-off cooking with incredibly juicy results. It allows you to adjust your preferred level of smokiness, and even minimize the level of smoke without extinguishing the smoking source, by shutting all of the vents and only allowing smoke to vent around the hood perimeter. The end result is incredibly moist, perfectly cooked meat and veggies with your specific level of smokiness. Southern Country Smokers really wanted their smoker to allow for a long cook time. In order to make this possible, they realized it would have to be a relatively hands-off approach, or nobody would be up to the challenge! Thus they have equipped the unit with an impressively extra-large 5.5 quart stainless steel water pan, which last up to five hours for extended smoking operations. The unit also intentionally has a gap, which allows for minimal airflow and venting and ensures proper smoking. Not only does this result in a perfect product, but it also means that you don’t need to tend the coals every hour like you would with a charcoal smoker. This combination of smoker coils to both boil water—to produce steam, and burn wood chips—to produce smoke, more efficiently penetrates and flavors meats while they cook. And so hands off doesn’t mean less flavor. Southern Country Smokers takes flavor to the next level by creating flavor channels were designed to direct smoke for maximum food flavoring. Although we found that the unit could seal a little bit better than it does, it didn’t seem to impact the final product very much. And because the smoker was specifically designed to allow you to add wood chips and water without even removing the cover, heat loss is minimal and meats are more tender. As for the construction of the unit, this is where the price-point may show itself. The material is rather thin and easily bent if not cared for well. This does, however, allow the unit to be so lightweight and easily transported. The tall unit does not lack for space, providing 351 square inches of cooking space across 2 chrome-plated cooking grids, allowing for simultaneous cooking of up to 50 pounds of meat. Each of the grids inside are equipped with durable handles, making removal of cooked meat easy and preventing unnecessary spills. The heat-resistant wood handles on the sides and hood of the unit allow for easy transport and monitoring. Although the main material is rather thin, the heavy-duty reinforced steel legs provide strength and durability. The 2-in-1’s 1,500 Watt UL (a global independent safety science company with more than a century of expertise innovating safety solutions)- and cUL (the Canadian version)-listed heating element can be plugged into a standard household element without fear of tripping any electrical outlets. And a built in, removeable temperature-gauge allows you to monitor the internal temperature of your smoker/grill as well as adjust it from with low, medium, and high settings. Although not as sophisticated as other models that allow you to set your unit to a specific temperature, we can’t complain as this smoker does a great job at maintaining even low temperatures for slow cooking. We absolutely love this versatile smoker/griller with its focus on slow-cooked, juicy, and tender meat. Although it doesn’t have the construction or sophistication of some of the other models on our list, it’s price-point, versatility, hand-off function, and delicious end product definitely make up for those! As you may have already stumbled upon, in our electric smoker reviews article we researched, picked, compared, and discussed our top ten electric smokers. Here we dive deeper into the various elements to look for in a smoker. We break down what to look for and which aspects are up to personal preference. We hope this, in conjunction with our review article, will help you to narrow in on what’s most important to you and your family; although some have decided to build their own smoker, we’d recommend buying one to keep you and your family safe! We’re sure you’ve already noticed that in our review article we decided to focus exclusively on electric smokers. This is for good reason: electric smokers are the most convenient and easy-to-use. Gaining an energy source doesn’t get any easier than plugging into an outlet. However, we must admit that because an outlet is usually needed, electric smokers tend to be less portable than others. But for those who intend to use their unit primarily at home, it doesn’t get any easier (just plug in and push a button) than an electric smoker. Another common complaint of electric smokers is that they don’t always yield results with a super rich and smoky flavors, which you might find with other smoker types. We found, however, that our ten best electric smokers come pretty darn close. Below we give a glimpse into the other types of smokers, so you can have an idea of what’s out there. And also to help you understand why we decided to focus only on electric smokers. The main advantages of propane smokers over electric are that they are more portable and they tend to yield are more smoky flavor. However, a major disadvantage of propane smokers is that you always need to have a filled propane tank, or else your smoker is rendered useless. So unless you plan on always taking your smoker on the go (which you can still do with the electric Masterbuilt 20073716 Portable Electric Smoker), we concluded that being able to simply plug into an outlet for your power source was easier and more convenient than keeping track of your propane tank and having to go out to buy a new one or refill it every time it was depleted. Some propane smokers can also be used as a natural gas smoker, meaning that it taps into your homes gas line in the same way that your barbeque grill might. This is another option to consider, but may be difficult if you don’t already have a gas line set up. This also makes your smoker completely immovable. People who choose a charcoal smoker do so because it definitely gives the most authentic smoked flavor to your food. You are also able to add two levels of wood flavoring by burning flavored charcoal and wood chips together. Therefore, you are able to mix and match woods to create deep, nuanced flavors. Because of this sophistication, the charcoal smoker tends to be the choice of the gourmet smoking enthusiast. But this delicious flavor definitely comes at a price. Unlike an electric or propane/gas smoker, which start at the push of a button and can turn off automatically or with just another push of a button, the charcoal smoker is very needy and hands-on. You will need to start, stoke, watch, and dispose of your charcoal, very similar to the process of a charcoal grill. The pellet smoker was created in an attempt to combine the convenience of the electric with the deeper and smokier flavor of the charcoal smoker. There is still more work involved, as you will need to monitor the amount wood pellets, making sure there is always enough. Many have found that the smoky flavor yielded by the pellet smoker isn’t quite as deep and rich as you would get from charcoal. Electric smokers can be purchased in both analog and digital styles. In fact, our electric smoker reviews represent both types. Analog electric smokers come with an adjustable thermostat dial to set the temperature to a certain level (usually low, medium, or high). They also tend to be lower in price point. Digital variations have a digital screen with push buttons to set the smoker to a specific temperature and/or cooking time. Some even come with meat probe thermometer, which actually allows you to set your smoker to a specific internal meat temperature. As the digital technology increases, so too does the price point. However, with these incredible conveniences you are really free to set-it-and-forget-it. Unless you plan on bringing your smoker with you on camping trips, tailgates, or for any other reason (in which case you should really consider the Masterbuilt 20073716 Portable Electric Smoker and Southern Country Smokers 2 in 1 Electric Water Smoker), the physical size of the the unit shouldn’t be of too much importance. Of course, if you’re working with a very tight space or have a specific spot that it needs to fit, do check out our comparison chart for the dimensions. We found, however, that most of the units were pretty similarly sized. Where size does differ and matter is internally, with cooking space. You can also find this number, provided in square inches, on our electric smokers comparison chart. You will be able to see the total square inches of cooking space available to use for cooking those delicious meats and vegetables. Also be sure to note how many cooking racks are provided, and whether they are adjustable/removable. This will help you to see whether you will be able to make enough room to smoke next Thanksgiving’s turkey. If you’re looking for some recipes to use your smoker’s cooking space, check out this list of smoker recipes on Pinterest. Another thing to take note of is the woodchip tray volume. If you’re fan of low-and-slow smoking, which tends to be a favorite for meat smoking, you will want to find a smoker with a fairly large woodchip tray volume. This will allow you to set your smoker and leave it to do its thing. Some units will report this information in terms of volume; others will simply note the number of burning hours provided with one full tray. Either way, find one that works for you. All of the Bradley smokers that we reviewed (Bradley Smokers Original Smoker, Jim Beam BTDS76JB Bradley Smoker, Bradley Digital 6-Rack Smoker) actually have an automatic wood bisquette feeder system that feeds a new bisquette onto the burner every twenty minutes, enabling clean, continuous, and perfectly portioned smoke for up to eight hours without ever refueling. Although a smoker is great, sometimes the best investment is purchasing a unit that can also function as something else. For instance, the Southern Country Smokers 2 in 1 Electric Water Smoker was actually designed and created to work as either a smoker or a grill. And all of the Bradley smokers (Bradley Smokers Original Smoker, Jim Beam BTDS76JB Bradley Smoker, Bradley Digital 6-Rack Smoker), have two different heating elements. This means that it can be used with heat but no smoke, making it effectively an outdoors slow-roasting oven. Some traditionalists would rather have a smoker that functions just as a smoker, believing that it will yield the best results. There’s certainly nothing wrong with that, and we have plenty of those in our article to choose from. Be sure to invest in a smoker that is well-constructed with a tight seal, to keep in both heat and smoke. Many of the smokers in our top ten best electric smoker reviews article actually boast double-wall construction for added strength and insulation. A good door latch that provides a tight seal is also essential to minimize heat and smoke loss. Look for smokers that have easily removable racks for more simple cleaning. A conveniently placed and sufficiently large grease tray is also essential for easy cleanup once your smoking is done. While all smokers require maintenance, the good cleanability means maintenance will be less often. Some smokers come with a warranty from 90 days to a year. While this is certainly preferred, we found it to not necessarily be the standard with electric smokers.